Heavy and Energy weapons will have “greatly” increased durability, as well as dishing out more damage, while C.A.M.P. changes will “give you more overall budget space to build.” More no-build zones are also coming to the map. If your C.A.M.P. 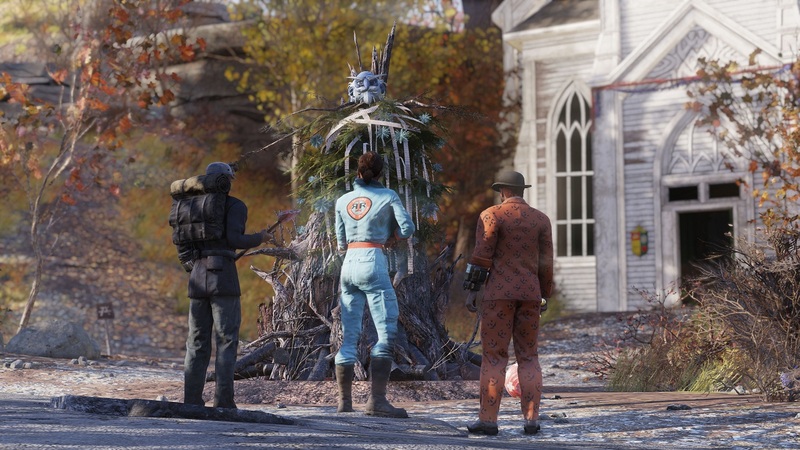 is in one of these areas, you’ll get a notification and a free C.A.M.P. placement so you can bugger off and build somewhere else. Included in the first batch of Wild Appalachia content is the Brewing and Distilling crafting system we heard about last week. Challenge tracking is also being added to the map, as well as in-game notifications that will let players know when they’ve made progress towards tracked challenges. You can get the snazzy masks in the screenshot above during Fasnacht Parade. 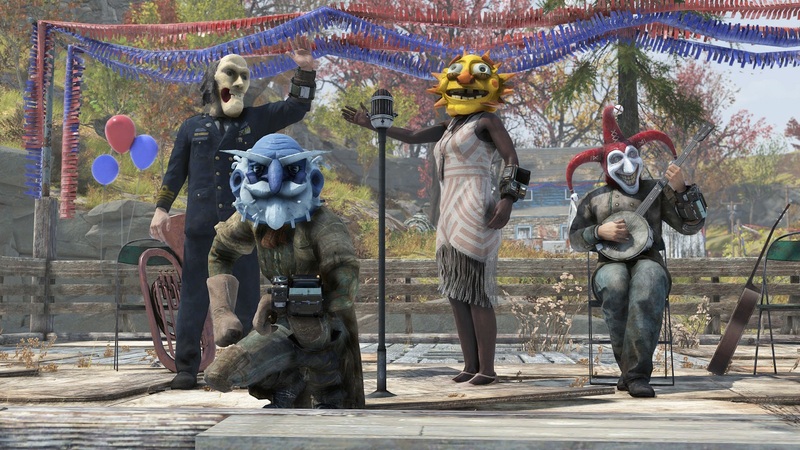 You can repeat the event as many times as you like between March 19 and March 26 to collect a multitude of masks and Fasnacht-themed C.A.M.P. plans. You can trade the masks with other players, so if you were looking or a new in-game business venture, you can fill your boots in preparation for when the event comes to an end. “You and any other dwellers who wish to take part must speak with the Master of Ceremonies in Helvetia and then divide and conquer to find and aid the town’s robotic shopkeepers in setting up for the annual parade. You and your compatriots will be asked to assist with a variety of party prep duties that may have you stepping on stage to play a cheery tune, choosing the perfect decorations, or exterminating some buzzing pests, among many other activities. You can check out the patch highlights below.